A recent study on the benefits of coca leaf legalization has spurred lobbying efforts in Colombia, with advocates encouraging the country to legalize its production rather than attempting to eradicate the crop. Using coca leaves has been a traditional practice among indigenous South Americans for thousands of years. Before the leaf was harvested and manufactured into cocaine, it was chewed or made into a tea. It provides medicinal and health benefits like treating nausea and can be used for an energy boost. Before industrialization, when working long days of hard labor, workers—especially some of the underprivileged farmers—would chew coca leaves for the effect of the stimulant but also to satiate hunger pangs while working on an empty stomach. Coca leaves also provide essential minerals like calcium, magnesium, phosphorus and vitamins like A, B1, B6, C and E. Chewing and brewing coca leaves is a natural way of taking dietary supplements. The government of Peru formed the National Coca Company of Peru (ENACO) in 1949, pushing for legalizing coca leaf production in order to make items and medicines derived from coca leaves. Farmers growing leaves for chewing to be sold to ENACO got their land certified for legal growth in 1978. ENACO does not only cultivate legal coca leaves for local traditional uses, but also sells its products around the world. One of the most common uses is as a natural anesthetic for eye surgery; ENACO is one of two companies that produce coca leaves for this medicinal purpose. Coca production in Bolivia, however, is more recent. Bolivia has the third world’s largest crop of coca leaves (after Columbia and Peru) with about 67,000 acres used for farming. In 2011, the Bolivian Community Coca Company was founded by the government for the legal cultivation and purchase of coca leaves to be made into flour, ointments, and other products. In 2013, the Bolivian government sought to market coca-based toothpaste to the public with the intention of battling the illicit use of the drug. By using the drug for products like toothpaste or flour, there will be more use of coca leaves for legal industrialization and less for illegal drug trafficking. Legalizing coca leaf production in the long term could benefit Colombia economically, politically and socially. Allowing coca leaf farms could offset expensive anti-drug efforts like crop substitution, where the government buys out farmers of their current crop and looks to replace it with a different, legal product. However, crop substitution is costly and non-sustainable, especially if the demand for cocaine does not change. If the uses for coca leaves remain the same while their cultivation is restricted by the government, it will merely increase the price of the drug and make crime worse. Bolivia and Peru are examples of the benefits of legalizing coca leaf production. These countries show that the medicinal benefits can be harnessed to create a market that effectively limits the illicit use of the leaves by taking away from the crops that would be used to make cocaine. Opening a legal market for coca leaves to be made into useful items like flour, ointments, toothpaste and other products would help lower the amount of drug trafficking and create new opportunities for coca leaf farmers to sell this indigenous plant. Despite Bolivia’s heavy exportation of natural resources such as iron and natural gas that increased its economic growth during the early ’90s, the South American country is still one of the poorest countries below the equator. Thus, the question “Why is Bolivia poor?” remains. Despite having the second most important natural gas industry in South America, its impact worldwide does not reach the top 1 percent in terms of international activities, which puts Bolivia in a situation of economic risk. On a domestic level, Bolivia’s lack of demand for resources within the country, as well as failed investments in the forestry industry, have shrunk its economic gains and profits since 2002. Why is Bolivia poor? Bolivia’s main problem has been one that is prevalent in other countries such as Colombia, Honduras and Panamá: social inequality, which has afflicted Latin American countries for decades. However, inequality has been declining over the past decade. Between 2008 and 2012, Bolivia’s Gini coefficient, a formula to determine a country’s level of inequality, dropped from 0.5 to a 0.45, where 0 equals perfect equality and 1 represents the highest levels of inequality. In 2014, Bolivia’s Gini coefficient decreased further to 0.13. Bolivia’s international affairs decreased its Gross Domestic Product by 6 percent during the year of 2016. In 2016, the National Plan for Economic and Social Development (PDES) was approved. Public investments, infrastructure investments, the industrialization of natural gas and Bolivia’s 40 percent gross governmental debt are some of the areas in which the PDES will have a positive impact. Needless to say, there is hope for Bolivia. As of now, the unemployment rate stands at 6.5 percent, one of the lower numbers in Latin America. Bolivia’s GDP has increased by 7.8 in 2017, thanks to growth in the construction sector. UNICEF, an international NGO that focuses on children’s development around the world, has developed a partnership with Bolivia in order to implement water hygiene as well as environmental sanitation in the less developed parts of the country. Habitat for Humanity is an organization that is also helping Bolivia, in particular by tackling slum housing and homelessness amongst Bolivian citizens. By raising money, offering volunteering and more, solutions are now a reality that are making Bolivia’s level of poverty decrease and quality of life increase at an extraordinary pace. http://borgenproject.org/wp-content/uploads/The_Borgen_Project_Logo_small.jpg 0 0 Clint Borgen http://borgenproject.org/wp-content/uploads/The_Borgen_Project_Logo_small.jpg Clint Borgen2017-10-04 01:30:472018-07-31 14:05:51Why Is Bolivia Poor? Bolivia is a state plagued with inequality and inadequate development, making it the poorest nation in South America. Poverty affects the majority of the population, with almost 40 percent of Bolivians living in extreme poverty. Despite the land’s rich natural resources, Bolivia’s lack of human development hinders the state’s economic, social and political progress. In the 1980s, Bolivia found itself in a deep economic recession and, in turn, suffered from inflation, unemployment and overall stagnation. It took the country 25 years to rebound in terms of GDP per capita. Just as the nation recovered, the early 2000s saw an outbreak of political instability with the resignation of President Hugo Banzer in 2001, followed by four controversial presidents within the next five years. This political impermanence was greatly due to the recent discovery of natural gas in Bolivia and the government’s plans to export the reserves. This caused violent discourse between the Bolivian population and the government. Public school education in Bolivia is of extremely poor quality, particularly in rural areas where teachers are not likely to be properly trained. Unsurprisingly, private education is too expensive for most. Thus, a vicious cycle of poor families staying poor while wealthy families progress is very apparent; without a good education, it is almost impossible to escape poverty. In rural areas, many people are forced to drink contaminated water, as they are without clean, natural or portable water alternatives. This puts communities at significant risk for disease and illness. Diarrhea is one of the most common and serious consequences of drinking contaminated water and is responsible for over one-third of deaths of Bolivian children under five. Since the 1990s, access to clean water has improved significantly. However, this improvement is concentrated in urban areas, rather than the rural areas where sanitation is needed most. More than 80 percent of Bolivia’s rural population lives below the poverty line, a fact that is largely due to the low productivity of small-scale farming. With no mass production techniques and frequent water shortages, the quality of product and the money said products generate remain low. Furthermore, a basic lack of infrastructures, such as water management systems and roads, is also responsible for why rural Bolivia is so poor. Without roads, transportation is expensive and ultimately inhibits farmers’ profits. Bolivia’s human development index ranks 104th out of 174 countries and territories. Lack of prosperous and equal human development is the biggest challenge facing the nation and is the foremost reason why Bolivia is poor. Fortunately, the Bolivian government recognizes this and has put forward a variety of programs to alleviate poverty. Poverty decreased immensely in Bolivia from 65.2 percent in 2002 to 35.7 percent in 2007, demonstrating Bolivia’s progress and dedication to assisting its impoverished citizens. Bolivia is a mountainous landlocked country in the heart of South America. With 36 languages and 51 indigenous groups, it is a mosaic of the diversity in the Andes. Since establishing independence in 1825, the country has experienced serious political turmoil, with the total number of revolutions and coups around 190. With so much chaotic political history, the incredible story of refugees in Bolivia is often forgotten. Here are 10 facts about refugees in Bolivia. As the Holocaust intensified, so did measures across the world to prohibit Jewish refugees from immigrating into safer countries. In the famous case of transatlantic liner St. Louis where nearly 1,000 German Jews aboard were denied entry to Cuba, then the United States and finally Canada showed the shameful policy of turning people back to the countries they were fleeing to face certain death. While most countries were closing their borders, Bolivia opened its immigration policies, welcoming 30,000 Jewish refugees from 1938 to 1941. Bolivian consulates in capitals across Europe provided visas. The refugees then flew to Chile where they boarded a train to La Paz. Due to the large amount of Jewish refugees on this train route, it became known as El Expres Judio (the Jewish Express). Tin mining tycoon Mauricio Hochschild has been referred to as the “Bolivian Schindler” because he orchestrated the escape of between 3,000 and 9,000 Jews. He then put the men to work running the mines and created charities such as daycares for the children. This incredible effort was even larger than Oskar Schindler’s plan, which saved around 1,000 Jews. Uruguayan rock star Jorge Drexler is the grandson of German refugees escaping Nazi persecution, who were welcomed to Bolivia under the open door policy. He recently composed a song called “Bolivia” to commemorate this event. Bolivia is currently facing a crisis of climate refugees. When Lake Poopo dried up, it was the death of a cultural resource so important that locals referred to it as “mother” and “father.” It has led to nearly a thousand refugees coming down the mountain and forming shanty towns outside of La Paz. It is one of the most catastrophic events for refugees in Bolivia. Bolivia has also produced political refugees such as former consul general in Washington, D.C., Carlos Hugo Jiminez. He fled to Canada after becoming the target of death threats due to his political affiliation. As of 2016, he had been waiting for four years to receive his asylum status. The Bolivian government is a vocal advocate for statehood for refugees across the world. It is one of the countries to formally recognize Palestine as independent and is a vocal advocate for a Polisario-based state in the Western Sahara. Lack of economic opportunity and changing climate conditions are creating large flows of migrants from Bolivia across the Argentine border. The Argentine government has responded by calling for a special border police force and some right-wing lawmakers calling for a wall. Water access and extreme poverty are driving factors for immigration and refugees in Bolivia today. The glaciers of the Andes are melting at an extreme rate and, by most estimates, all of them will be gone by the end of the century. Thirty percent of the 2.3 million people from El Alto and La Paz depend on these glaciers for water. Water protests have shut down entire cities in Bolivia, especially in the Cochabamba Water Wars of 2000. The melting of glaciers, drought and changing climate conditions could be a huge source of instability, refugees and immigration in the future. Bolivian President Morales shows commitment to the environment going as far as to legislate granting rights to the land and Earth itself. Regional and international partners will be necessary to tackle the climate challenges that will otherwise be left unaddressed and create more refugees in the future. Since the election of Evo Morales in 2005, Bolivia has pledged to strive for social and economic reform. Despite aiming for a more inclusive society, poverty is still widespread and certain groups remain marginalized, including Bolivians with disabilities. Many continue to live in extreme poverty with little access to resources. In the spring of 2016, a group Bolivians with disabilities marched more than 400 kilometers from Cochabamba to La Paz, protesting their lack of basic rights. The government previously stated that benefits would be awarded to those with extreme disabilities. To qualify, individuals need to receive special identification. The ID card can only be awarded following neurological exams that cost approximately 500 bolivianos ($70). This cost is high for many in Bolivia with disabilities, as they often live in poverty and are unable to work due to their impairments. The purpose of the recent protests was to persuade the government to provide a monthly allowance of 500 bolivianos to those with severe disabilities, which would allow them to pay for physical therapy, healthcare and housing. In February 2017, Morales submitted a proposal to Congress requesting that a monthly allowance of 250 bolivianos be provided to Bolivians with severe and serious disabilities. The Federation of Municipal Associations of Bolivia (FAM) also announced their support of the Morales’s bill. Mayors are responsible for making payments in each municipality. More than half of Bolivians with disabilities live in the large cities of La Paz, Cochabamba, and Santa Cruz, and these municipalities state that they have the financial resources necessary to provide qualifying individuals with benefits. The current proposal only provides half of the monetary amount protesters asked for, and its success remains to be determined. Benefits will not be distributed until 2018. However, Bolivians with disabilities are also gaining rights through accesses to other resources. Handicap International and the Bolivian Ministry of Health are working together to build rehabilitation centers in various municipalities that provide necessary therapies. There currently is a network of 30 centers in Bolivia. Additionally, these protests and attention have not only led to the provision of monetary benefits, but have also raised awareness of the struggles of Bolivians with disabilities, particularly the high proportion of them that live in extreme poverty. Moving forward, increased awareness and respect will be crucial in ensuring that those with disabilities receive necessary services that will allow them to be more engaged members of the community and avoid living in extreme poverty. What Are the Top Diseases in Bolivia? Bolivia is the poorest nation in South America, and has a population of more than 10 million people. Nations that struggle with poverty often struggle to fight disease as well. Some of the top diseases in Bolivia are spread by insects, cannot be prevented by vaccination and are frequently life-threatening. Vector-borne diseases (diseases spread by insect bite) such as malaria, dengue fever, yellow fever and Chagas disease are common in Bolivia. Travelers to the country are warned about malaria and dengue fever. Malaria is spread by mosquitoes and can be life-threatening. There isn’t a vaccination against it, making it even more dangerous. Dengue fever is a viral disease that is also spread by mosquito bite. While not as serious as malaria, dengue fever also has no vaccination. Only found in certain areas, yellow fever is also a huge concern in Bolivia. Every traveler to the country has to show certified proof of vaccination against the disease upon entrance. Yellow fever is another disease spread by mosquito bite, and it usually lasts between three and six days. For 60 percent of those who fall ill with yellow fever, the disease will be fatal. There is no treatment. Chagas disease, which exists mainly in Latin America, is life-threatening and said to kill even more people than malaria does. Bolivia is home to the fourth largest number of people living with Chagas disease, with an estimated more than 607,000 people infected in 2015. It is the number one country when it comes to the prevalence of the disease, with the most infections per inhabitants. Because of the prevalence of these diseases in Bolivia, attempts to help prevent HIV/AIDS sometimes come as an afterthought. In 2015 an estimated 18,000 adults in Bolivia were living with HIV/AIDS. Poorer nations such as Bolivia need assistance in order to combat the diseases that affect people’s livelihoods. http://borgenproject.org/wp-content/uploads/The_Borgen_Project_Logo_small.jpg 0 0 Clint Borgen http://borgenproject.org/wp-content/uploads/The_Borgen_Project_Logo_small.jpg Clint Borgen2017-05-17 01:30:542018-03-19 11:40:03What Are the Top Diseases in Bolivia? Prior to quinoa’s surge in popularity, few Americans had heard of this South American grain. U.S. imports alone quadrupled between 2006 and 2010 as quinoa’s virtues of versatility and high protein content spread. Unbeknownst to the public, quinoa production had a direct impact on the levels of poverty in Peru. So, soon after quinoa “took off,” a slew of inflammatory articles in 2013 reprimanded quinoa consumers for raising the demand and price of the nutritious food, which restricted access for poor Andean people. Poverty in Peru and Bolivia affects over 50 percent of people in the Andean region. Many suffer from lack of education, food insecurity, poor health care and a life expectancy 20 years lower than people in Lima. Due to conditions in this region, “foreign quinoa consumption is keeping locals from a staple grain” is a serious accusation. However, the popularity of this protein-rich food has provided many economic benefits for the area. A NPR study showed how living conditions drastically improved for people in the Andes during the boom in quinoa sales. In 2013, the Guardian published an inflammatory article called, “Can Vegans Stomach the Unpalatable Truth About Quinoa?” claiming that fame has driven the prices so high that locals can no longer afford it. The argument seemed sound as poverty in Peru is a major issue. It seemed though, that the Guardian brought up a touchy subject–droves of articles then began cropping up both defending and debunking this argument. The good news is that quinoa prices are still within reach for Peruvians. A recent article from NPR explains two different studies focusing on the super grain: one found that the people in quinoa-growing regions, farmer or otherwise, experienced an economic flourishing that favored farmers and generally overcame any additional quinoa costs; the second study focused on quinoa consumption in the Puno region where 80 percent of Peruvian quinoa is grown. The author of the second study, a Berkeley graduate student, discovered that people in the Puno region consumed a similar amount of the grain without cutting any valuable nutrients from their diets. While quinoa is culturally important, it is not a staple crop like rice or maize. On average, only between 0.5 and 4 percent of an average Peruvian family’s budget is spent on quinoa–thus the extra cost is not debilitating. In fact, quite the opposite of debilitation occurred: domestic quinoa consumption tripled in 2013. While the positive economic effects continue to boost the region, there are reasonable concerns about the sustainability or longevity of quinoa production. Demand has caused farmers to decrease the amount of quinoa varieties grown, as well as reduce llama farming which used to provide fertilizer. Degradation of soil and biodiversity are also risks of extensive quinoa production. Unfortunately, quinoa’s popularity also attracts competitors, and as other countries began to grow the super grain and supply increases, Peruvian demand falls. Prices are sinking, which is great for frugal, health conscious shoppers but very concerning for Bolivian quinoa farmers. While unclear how long benefits will last, quinoa’s popularity proves extremely beneficial towards alleviating rural poverty in Peru and Bolivia. In order to extend the grain’s benefits, some organizations are trying to encourage the sale of more varieties of quinoa to conserve biodiversity and renew interest in South American grown grains. On the positive side, quinoa has provided some temporary relief for those facing poverty in Peru. There’s an estimated 10,500,000 people living in Bolivia. Fifty-three percent of them live in poverty. Bolivia has a lower gross national than its other South American counterparts due to issues with sustainability. Located in Cochabamba, Bolivia, Sustainable Bolivia works with 36 local organizations to improve environmental and economic sustainability. Its primary goal is to secure human and financial capital for organizations in Bolivia to thrive and give back to the surrounding community. Sustainable Bolivia also allows students and professionals to volunteer, intern and learn Spanish or Quechua, a commonly spoken indigenous language in the Americas. All proceeds earned from Sustainable Bolivia’s language schools go toward projects benefiting the community. Sustainable Bolivia’s extensive volunteer and internship program allows people from around the world to travel to Bolivia and participate in community enhancement projects. Its mini-grant program provides funding to volunteers and interns — usually an average of $75 per month — to fund projects or purchase necessities for their chosen organizations. Another major program started by Sustainable Bolivia is its scholarship program. Qualified Bolivians, who would otherwise not be able to earn an education, may receive the necessary funds to attend university based on financial need and academic achievements. Some of the local organizations Sustainable Bolivia works with comprise of Alerta Verde, which works to increase environmental conservation, Bolivia Digna, an education-based organization using education to help children and youths in underserved communities and Mano a Mano, which builds schools and health clinics in marginalized communities. In addition to these projects and partnerships, Sustainable Bolivia also features multiple residency programs, a film project and an organic garden. The aims of the residency programs are to improve the local art scene by celebrating culture in Bolivia and to provide dedicated artists with a studio to work in. The film project documents the efforts created by Sustainable Bolivia and its partner organizations to promote fundraising and raise awareness for pressing issues in Cochabamba. Lastly, the organic garden serves the purpose of promoting environmental sustainability and cultivating and consuming food in a healthier way. 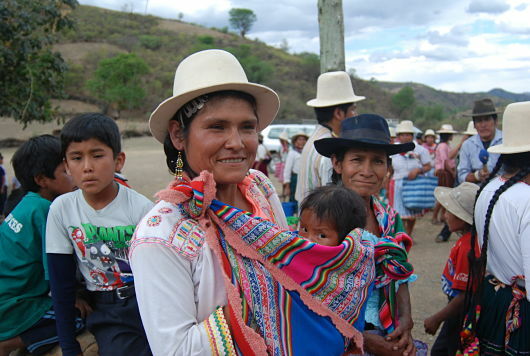 Sustainable Bolivia has improved the lives of many since its inception. In testimonials from Sustainable Bolivia volunteers and interns and Bolivians directly impacted by the project, Sustainable Bolivia has been described as a “wonderful volunteer community” and a “great resource” for the local Bolivian community of Cochabamba.